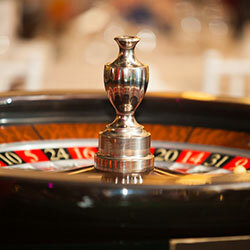 Most betting systems for roulette focus on even outside bets like reds and blacks, highs and lows an evens and odds, but there are some strategies out there for making wagers on the other outside bets–the dozens and the columns. As a brief refresher, you can make three different dozen bets on a roulette board and three different column bets on a roulette board. The dozens are listed at the bottom of the board as “1st 12,” “2nd 12” and “3rd 12.” The columns are listed on the right hand side of the board and say “2 to 1.” Both columns and dozens allow you to bet on a little less than a third of the wheel due to the presence of the zeros. The same two strategies can be used for betting on the columns and the dozens because they give you the same number of bets. If you win at any point as you play through this progression, you will get at least a small profit. The big drawback is that if you make it to the 100 and you don’t ever win, you will have lost a large amount of money. The other problem with this first roulette system is that you are only ever betting one-third of the table, meaning that your odds of winning are lower than when you’re playing the even bets. Still, you can make more money if you win, so this can make up for it. Some people believe that if you play a column or dozen that hasn’t won in 10 to 20 spins, you can increase your odds of winning. There is no mathematical evidence to support this, but it is something that you can try when you’re playing at an online casino or at a land-based casino. Immediately, you can probably spot what the big drawback to strategy 2 is–the amount that you have to bet jumps up very quickly. You actually have to triple your bet with every play in order to be able to recoup your money with just one spin. Still, if you manage to win within six spins, you will be profitable. You can try the method of waiting for a dozen or column to go through many spins without hitting but just as with Strategy one, there is no mathematical evidence that it works. People rely on it due to superstition and belief in luck. You may want to use it at the online casino, but always remember there is no guarantee that any dozen or column will hit even if it hasn’t through 100 spins! Ultimately, using either of these different roulette strategies to bet on the columns or dozens can involve losing a large amount of money. 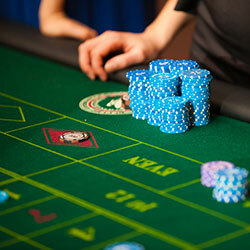 As a result, it is vital that you go to the roulette table with a maximum betting amount in mind. You may decide to leave the table before you make that $100 or $243 bet. It all depends on your risk tolerance and your budget.